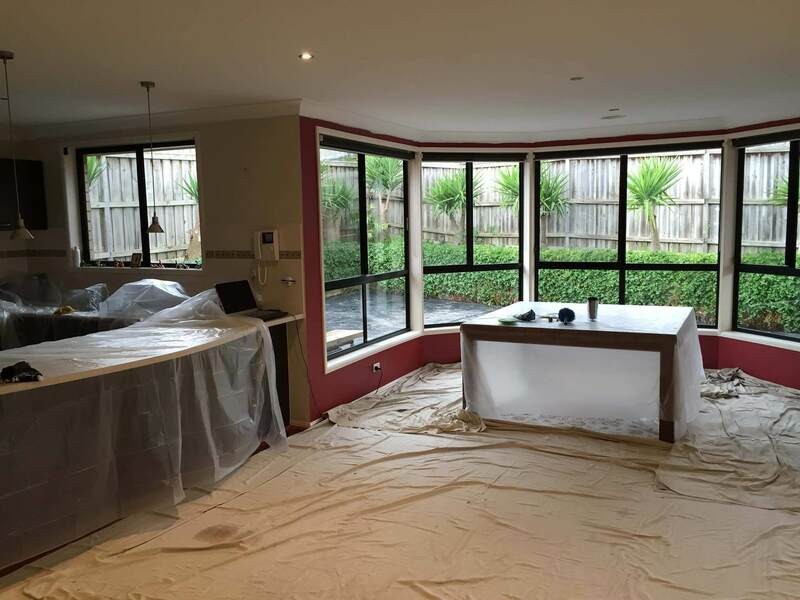 If your property is in Melbourne and you are looking for a residential painter, then you’d honestly be crazy not to give us a call. With the quality and timeliness of our work, you will feel 100% certain about your choice. Ken and his team have been working on residential projects of every kind for 15 years and honestly they have seen it all. Old, brand new, investments and renovations, you name it. We have mastered the process of residential painting and you will be amazed by the speed and quality that we will complete your work. If you’re ever in doubt and unsure simply contact us and ask. Please keep in mind that if you’re thinking of hiring us, plan ahead and contact us ideally a month in advance, because we most likely won’t be able to help you on short notice. In addition to our own painting services, we have an extensive network of tradesmen and contractors that provide equal quality services that can meet your needs in addition to painting and decorating. Some examples would be builders, plumbers, electricians and handymen. At the end of the day we understand your needs and know how to meet them. Your piece of mind and satisfaction are very important to us and we can guarantee that we aren’t like many of the other tradesmen that you have experienced. We will leave your place cleaner than when you left it in our hands. Even though we are masters in residential painting, we aren’t wizards. Exterior residential painting is best left for the warmer months where there is less rain and moisture so that the paint dries quickly, for the best end results. Interior residential painting on the other hand is the kind of work that can be completed all year round.